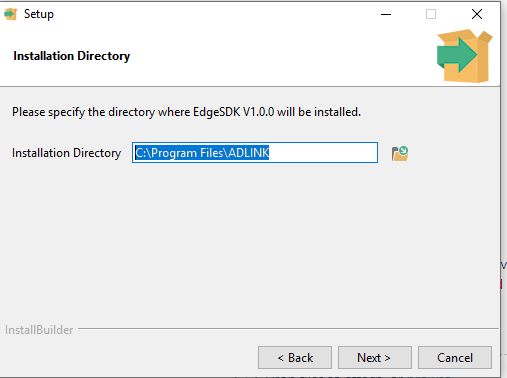 The ADLINK Edge SDK is a set of libraries and tools which allow you to build IoT solutions. This article explains how to install Vortex Edge SDK in your system. 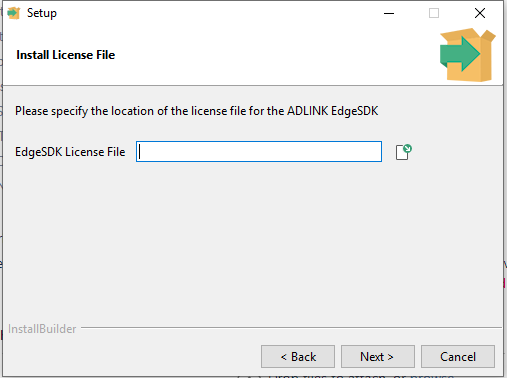 The current release of the Edge SDK allows creating native services; future versions of the SDK will also provide additional means to create services that run as part of the ADLINK Edge platform. The Edge SDK provides a simple API for creating and maintaining Things on a data sharing framework, the ADLINK Data River. Before you install Vortex Edge SDK you will need to install other software components so you can build and run the examples. These will need to be downloaded and installed seperately. To install Vortex Edge SDK you need to run the installation wizard for your platform. An example of the file name is P738-EdgeSDK-1.0.0-x86_64.win-vs2015-installer on windows and P768-EdgeSDK-1.0.0-x86_64.linux-gcc5.4.0-glibc2.23-installer.run on linux. The file name will vary depending on the platform. On windows you can double click the exe file or type the name of the file into a command prompt window to start the installation tool. On linux you need to make sure the application has executable permission before you can run it. Open a terminal window and go to the directory where the file is. 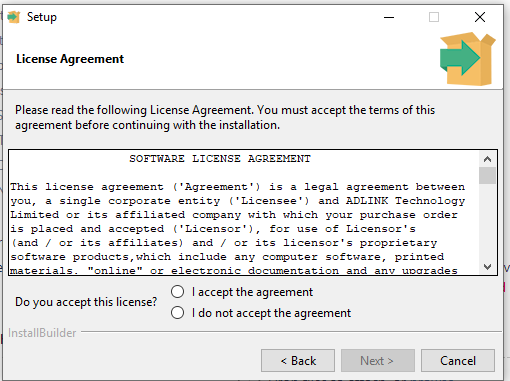 You are then asked if you want to accept the license agreement and the details are shown. You need click to accept the agreement and press next to continue. If you choose I do not accept the agreement installation will end. 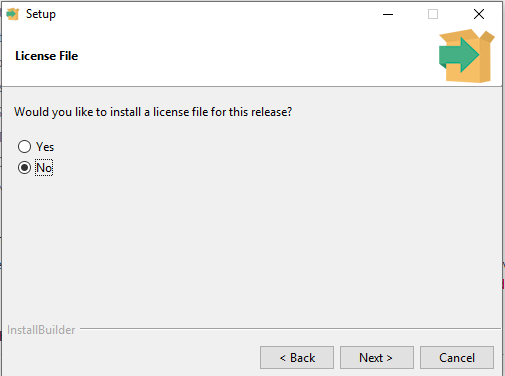 The next page asks if you would like to install a license file for this release. If you have a license file choose yes, otherwise choose no and you can add one later. If you choose yes the next page asks you to navigate to the location of the license. Choose the directory where the licence is installed and then click Next. Edge SDK is now ready to be installed, click Next to start the installation. 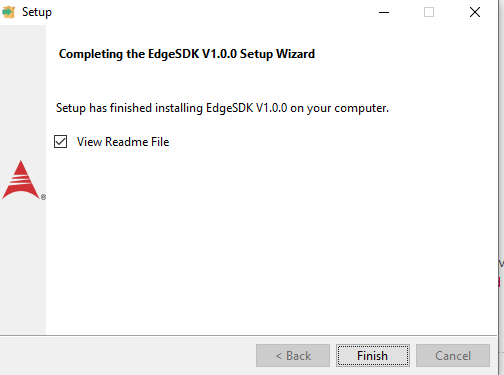 When the Edge SDK installer finishes you have the option of viewing the Readme file. If you do not want to see this untick the box and click Finish. 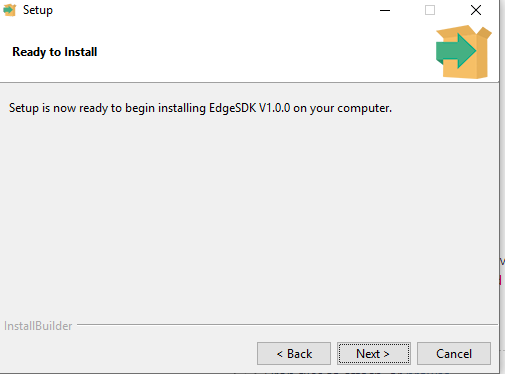 The Edge SDK is now installed.